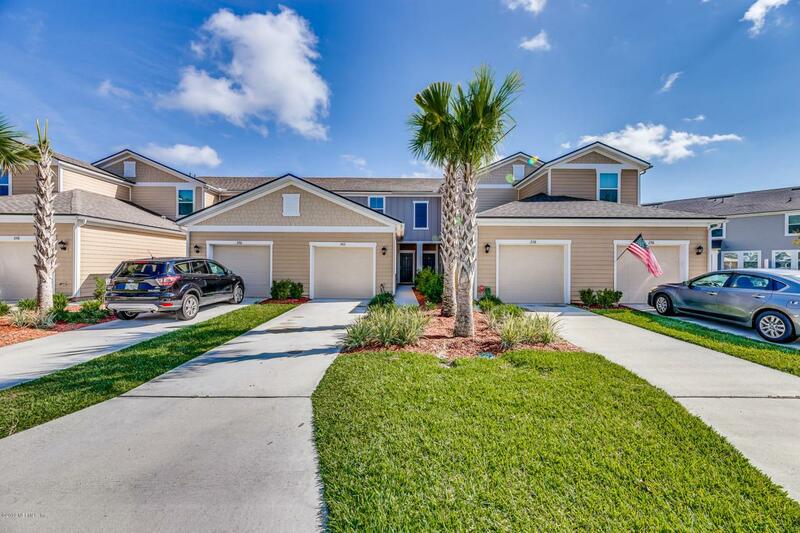 Like new Durbin Crossing Townhome. DR Hortons Aspen plan is 2 bedroom 2.5 bath. Beautiful kitchen with gray granite counter tops and maple cabinets with extended bar! Stainless steel appliances. Tile flooring downstairs and a gorgeous backyard over looking the water. Spacious bedrooms and closets upstairs makes this townhome complete!